Whether you are feeling Ho-Ho-Ho or Bah-Humbug about it, Christmas is upon us. Many of our clients like to reward their employees in some way at Christmas, and whilst this is a lovely gesture, we have to make them aware of the tax/NIC implications of their generosity. We thought we’d share those implications with a wider audience. Sadly, there are many instances where a gift is not a gift in the eyes of HMRC – even if it is wrapped up with a shiny bow, they view it as a taxable benefit. 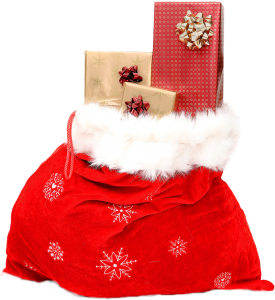 The first option is to keep your employee Christmas gifts within the limits of what is called Trivial Benefits. In April 2016 a new statutory exemption for Trivial Benefits was introduced. A Trivial Benefit is limited to £50 and cannot be paid as cash. 1. If the Company structure is considered to be a ‘Close’ Company, there is an annual limit of £300 in total Trivial Benefit awards in a year, per Director. 2. As already stated, cash benefits cannot be considered Trivial Benefits, but vouchers are included provided they cannot be exchanged for cash. 3. Trivial Benefits cannot be related in any way to work/performance. This stops them being used as a tax and NIC avoidance mechanism. If your generosity towards your employees extends beyond the £50 limit enforced by the Trivial Benefits scheme, you may want to find a way of rewarding your employees without saddling them with a tax/NIC burden on your gift. There is a way that allows an employer to reward employees for their hard work and commitment, without causing the employee to suffer an additional income tax and NIC burden. This is called a PAYE Settlement Agreement (PSA). A PSA allows the employer to pay the employee’s income tax and NIC due on the Christmas gift or other benefit. Why would an employer choose to go down this route? First, it reduces the administrative overhead involved in trying to allocate the proportion of benefit/gift costs to individual employees. It also helps to prevent what could be a very demotivating experience for the employee if their gift comes with increased tax and NICs. The gift or benefit must be minor, for example, a bouquet of flowers to say ‘congratulations’ or ‘happy birthday’. The gift or benefit must be offered on an irregular basis, e.g. paying relocation expenses above the statutory limit. The gift or benefit must be such that it is either impractical or impossible to ascertain the cost for any individual employee. Anything in cash be it payments or allowances. If you are feeling Ho-Ho-Ho about Christmas giving, do talk to your own bookkeeper (or us) about your plans. We’ll be happy to help you work out the most effective way of providing Christmas gifts to your employees, advise you on what records need to be kept and how calculations are made for a PSA.